So I am totally out of my personal comfort zone now and really enjoying the feeling of freedom ! 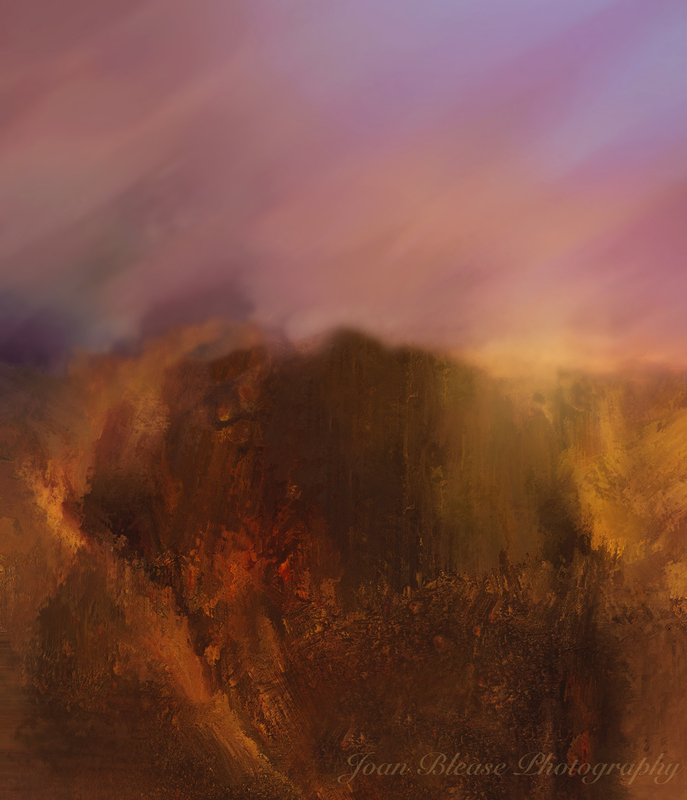 This picture actually started off as a texture and then I started to play around with it in Corel Painter…. As I was moving the pixels around I started to see a mountain range and sunrise (or sunset) beginning to emerge. It’s still surprises me how powerful digital painting can be and how an abstract pattern can turn into something completely different.